If your business relies on printing a multitude of labels, it should come as no surprise that Zebra printer labels are widely recognized as the most superior labeling product by professionals across the globe. Zebra printer labels are known for being durable and easy to peel, making them the ideal label for nearly any business. At Tri-State Business Systems, we supply businesses of all sizes with the Zebra labels they need to streamline their business and increase productivity. We also offer customers a variety of clean room labels and an assortment of affordable, high quality blank labels to further accommodate changing business needs. Our product experts are available to assist in determining the ideal label or labels to meet your company’s demands and can help you select supporting equipment such as a Zebra label printer, ribbons, mobile printers and more. 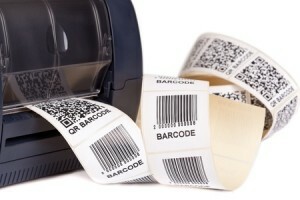 Tri-State Business Systems is the leading solution provider of labeling systems. We offer a wide variety of barcode printers, software, data collection equipment and labeling supplies, and are aligned with reputable industry innovators like IBM to provide industry leading products, service and support across all corners of the earth. Whether you need a single Zebra label printer or would like assistance designing and implementing RFID labeling systems, our experts can help. Entrusted by many fortune 1000 and 500 manufacturers, we have the product knowledge and application experience to develop even the most complex integrations – from custom programming and site surveys to training, project coordination and much more. We gladly ship to businesses and corporations throughout Bridgewater, Piscataway Township, Edison, New Brunswick, Franklin Township and the neighboring cities, so if you are interested in learning more about our services or want to purchase Zebra printer labels or nearly any other labeling equipment or supplies you may need, contact Tri-State Business Systems today.